Agora International School Madrid offers a complete programme of extracurricular activities which enable our students to develop new skills, improve established talents and abilities and complement the work undertaken within the mainstream curriculum. Our students get the opportunity to participate in activities such as sports, languages, fine arts, theatre, music, robotics or can devise study programmes tailored to meet their individual needs. Participation in the extracurricular programmes enables our students to continue learning in a more relaxed and informal environment and to have fun with their friends and classmates. 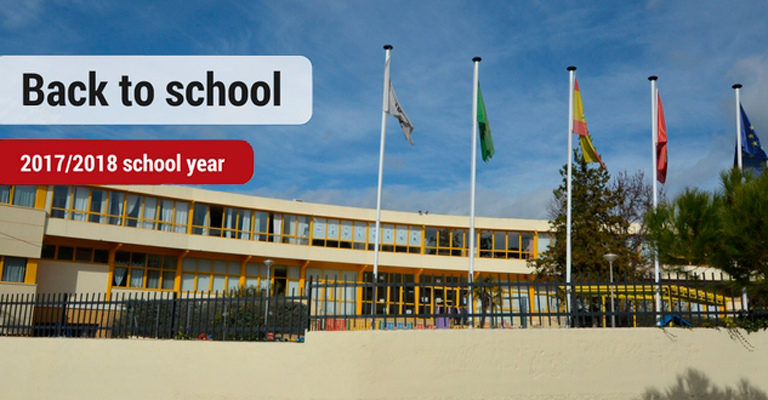 Agora International School Madrid is an IB World School, authorised to teach the International Baccalaureate. The IB is a leading international diploma which is accepted as an entry qualification by the most prestigious universities from around the world. The IB diploma offers a broad and comprehensive pre-university education, which is designed to stimulate a positive attitude towards learning and an open and international mindset. Students who follow IB courses become thoughtful, motivated, confident and open-minded young men and women, thoroughly prepared to take their places within the global community. Stonar School is one of the UK’s top private schools and has been providing a quality education to its pupils for over 120 years. The school is built on a 32-hectare private estate in Wiltshire and is part of the NACE Schools Group. Pupils from Agora International School Madrid are given the opportunity to study for a term, two terms or an entire academic year at Stonar, and are able to reap the significant benefits of full linguistic immersion, exceptional study and recreational programmes and the chance to make life-long international friendships. Students from Agora International School Madrid are invited to participate in events organised by the NACE Group. Thanks to NACE’s extensive network of schools world-wide, these events involve students from over 50 countries coming together to celebrate their skills and compete in sporting, artistic, musical or academic events. NACE events and activities provide a unique opportunity for students to practise their English, demonstrate their skills, make new friends, and develop values such as tolerance, respect, cooperation and cultural awareness. Agora International School Madrid is a private, bilingual international school in Madrid. We focus on achieving educational excellence via an enriched and coordinated curriculum tailored to meet the specific needs and requirements of each of our students. 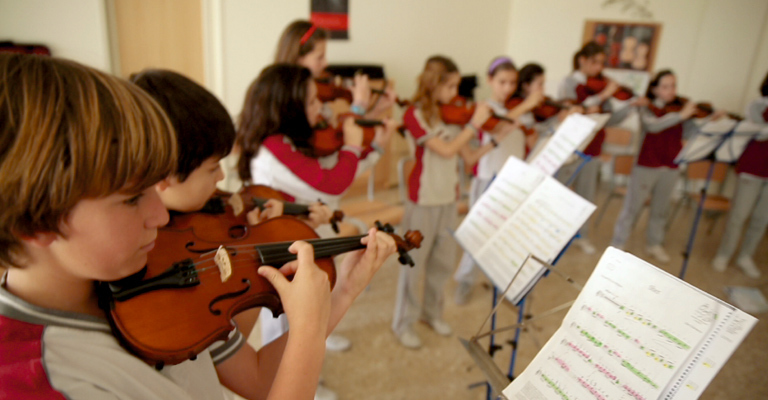 The school has an integrated Music School and our curriculum extends from Preschool to Pre-University. Our senior students are offered the opportunity to study the prestigious International Baccalaureate Diploma. Our teaching methodologies are at the cutting edge of educational innovation; our goal is to bring out the best in every student. Promoting language, culture and international integration; educating citizens of the world. Educating through key values such as respect, responsibility and commitment. The curriculum at Agora International School Madrid incorporates a complete musical, sporting and artistic education. Agora International School Madrid is a private international school that forms part of the highly-renowned education group, NACE Schools. The school is located on the beautiful El Bosque estate in Villaviciosa de Odón to the west of Madrid and our curriculum is designed to facilitate linguistic immersion, particularly in English, but with opportunities to study a range of modern languages. Our senior pupils work towards the Spanish National and the International Baccalaureates, and we have a 100% pass rate for both the Spanish University Entrance Examinations and the Cambridge and Trinity English Examinations. The school offers a broad and balanced curriculum, with a particular emphasis on co-curricular subjects such as Music, Sports and the Arts, designed to help each of our students achieve their full academic and personal potential. Agora International School Madrid is located in a quiet residential area, surrounded by trees and with views towards the mountains. Our excellent facilities are purpose-built to provide for the changing needs of our students at each stage of their education and are designed to create a calm and positive environment for both study and recreation. Agora International School Madrid incorporates an official Music School and has great sporting facilities, including an AstroTurf soccer pitch, a gymnasium and a fully equipped sports centre with basketball, handball, volleyball and tennis courts.